Today I'd like to talk about sensitive issue... my notes... in my books... written with a pencil... yes, in the actual book, you heard me well. Some of you may think "Oh my God, how barbaric! How could you violate our precious books in such a way?! Believe me, about a year ago, I would ask those same questions, but something changed. 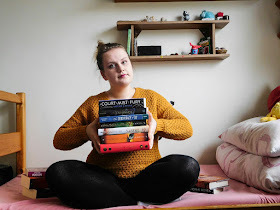 I watched a booktuber Ariel Bissett one day and she was talking about anotating her own books and even though her idea seemed crazy to me at that time, there was something appealing about the reasons behind it. It sounded interesting and I wanted to try it. Mostly because I didn't know, and still don't know, anybody who would do this thing and I wanted to be the first among my friends because then I would be super-amazing... or they'd burn me at the stake like a witch. The first touch of a pen with the paper of my beloved book Splintered was exciting and scary at the same time. Until then I believed that books should be in a pristine condition and that's why I treated them like a sacred thing and God forbid if the book had bend page or something like that. No, my books had to look as brand new ones. So to write with a pen (I started by using pen, but now I use pencil because it's softer and I like how it looks better) in my favourite book was a big step and I didn't know if I'm going to hate it or not. Luckily, I loved it. 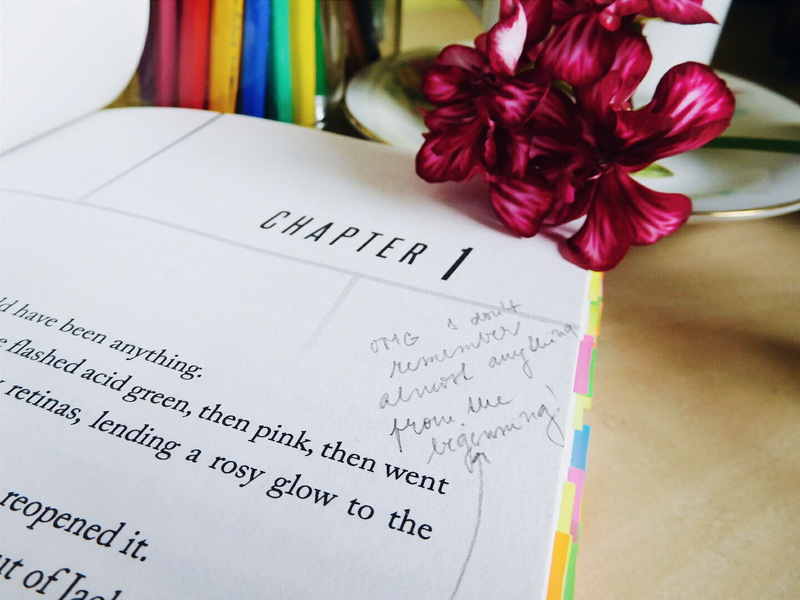 I loved it so much that I marked the whole series with my colourful pen. And I most definitely DID NOT reget it. Now before you go away disgusted by my actions (hopefully, there are some souls that do the same... please... I cannot be the only one!) let me explain the reasons behind anotating my books. While reading a book I have a lot of feelings and thoughts and I need to express them so I write them down into the book. Imagine this as putting a piece of my soul into the book so it can live with the characters and the story forever. This makes me like the book even more. 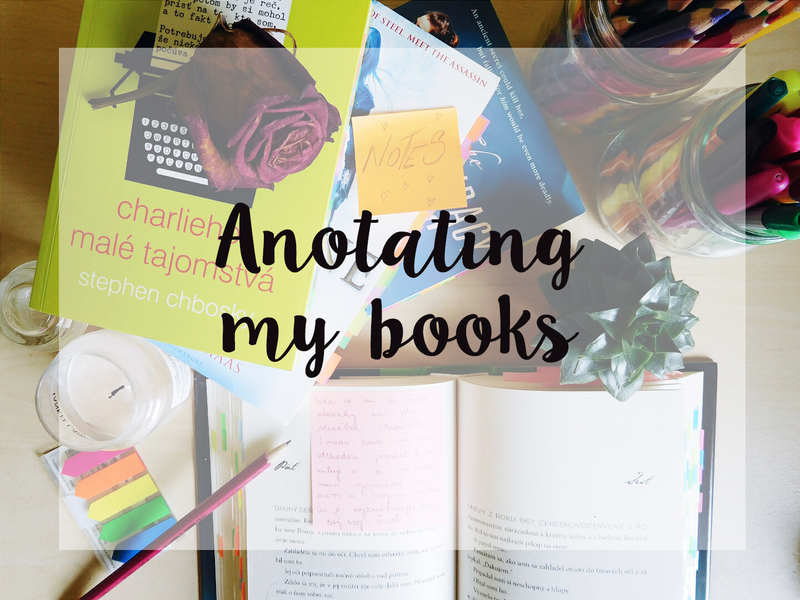 I don't usually write into books I don't like so when you grab a copy from my bookshelf and it's marked with colorful stickers, post-it notes and anotations, you know it's one of my favourites. This way I can go back and remember what I was feeling when I was reading it and smile at my thoughts. Or laugh at my poor attempt to be funny. The best thing about this is that I'm not afraid to lend my books. Don't get me wrong, I still force the person to sign a contract about returning the book in its original state without any scratches or stains because I'm still overprotective, but I want to lend them because then the person is reading the book with my thoughts in it and it's as if the person is reading the book with me which is the most amazing feeling. And they like it too. Mostly because my notes are funny and awesome and they like me. I realised that when I love a good book I want to show it that it matters to me and this is my way of showing love. It may seem like a twisted way to say "Hey, I really liked you, the story was amazing and I cried at the end!" but it's my way of personalizing MY book. I don't want blank stories on my bookshelf (uhm, blank story is probably blank paper, but hopefully you know what I mean). I want my books to be screaming "We belong to Simone!" When you look at my books, you can see whether I cried or I melted from the adorable couple, you will see whether the book made me think about the topic or I just rode on the adventurous wave. It looks cool. I was even thinking about using highlighters to highlight my favourite quotes but I'm still unsure. I'm afraid it will bleed through. I get that this is not for everybody. Some people like to have pristine books, some people like beaten up copies and some people like to anotate. This is the beauty of having diversity among readers. I just wanted to show you my way of personalizing books and that it can have deeper meaning and it can look good. Now it's your turn. 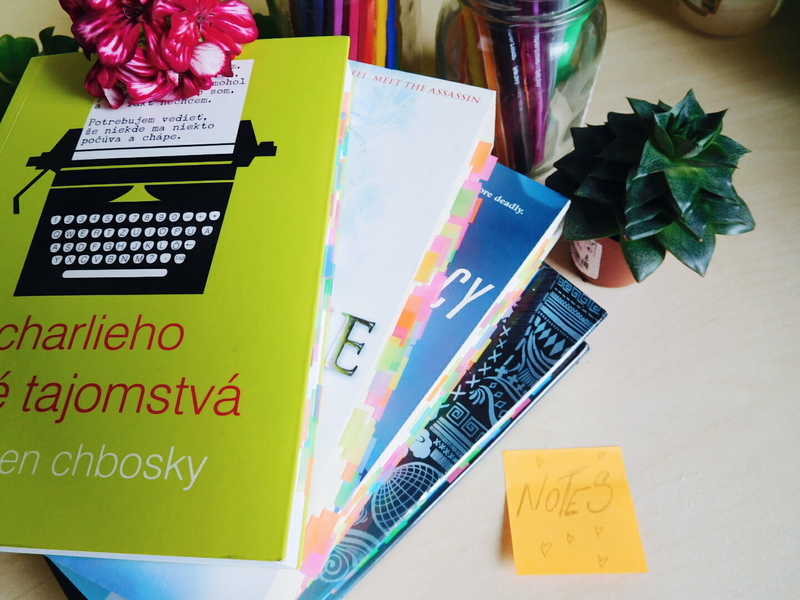 Have you thought about anotating your books? Do you anotate your books or you wouldn't be able to? What is your opinion on writing into the books? I was scared of messing up too but now with the pencil is everything easier. Thank God for the erasers!!! WOW that is a cool idea! Now I want to try it.